This adorable silicone mold allows you to make 45 smiling gummy bear soaps/embeds to use on top of soap or bath bombs. This adorable silicone mold allows you to make 45 smiling gummy bear soaps/embeds to use on top of soap or bath bombs. 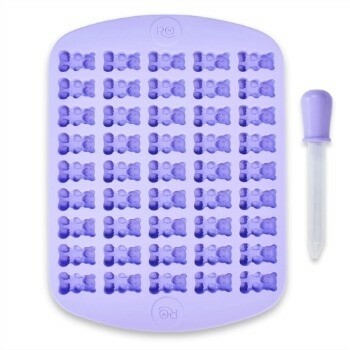 The Gummy Bear Silicone Mold Set includes one mold and one silicone dropper that makes filling each cavity a breeze! Bar Depth: 0.5" Bar Length: 1"